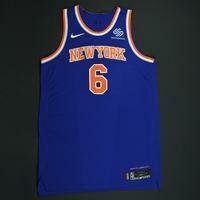 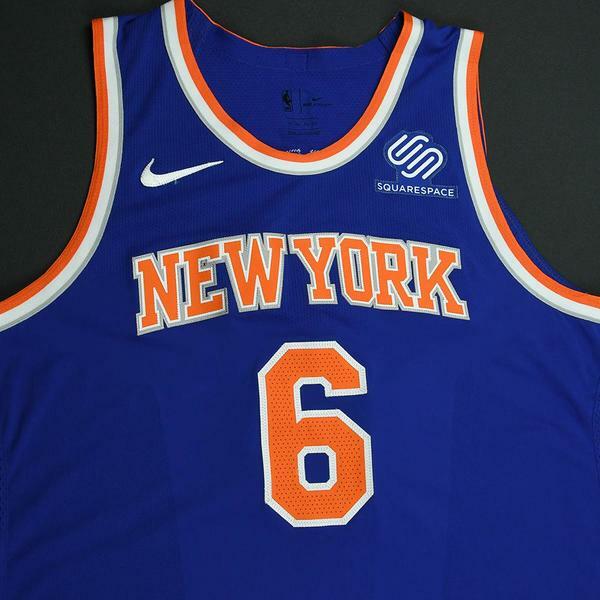 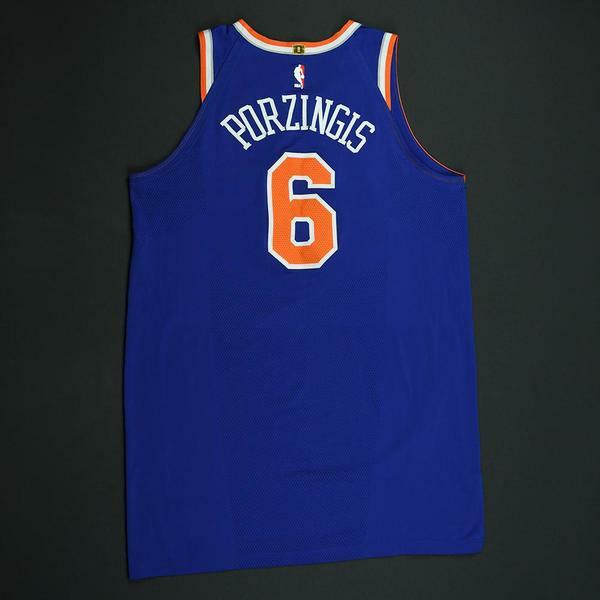 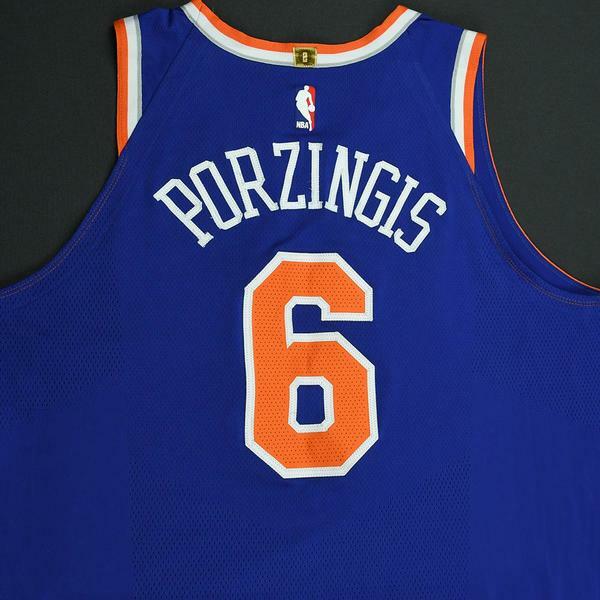 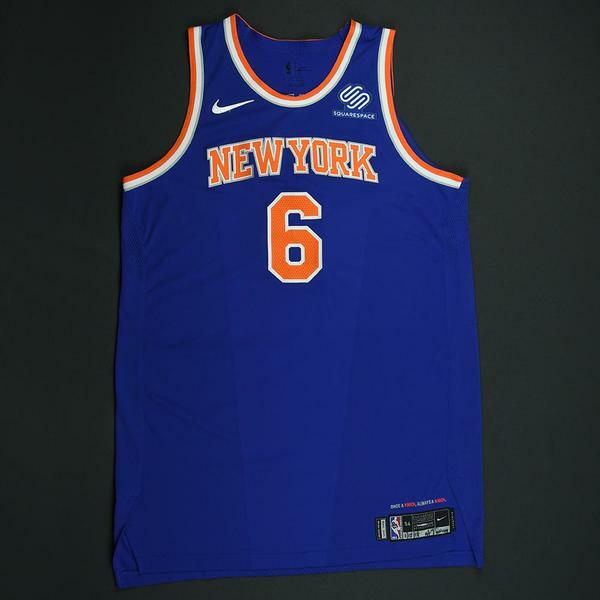 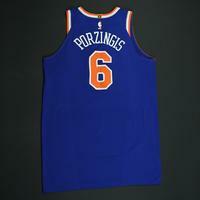 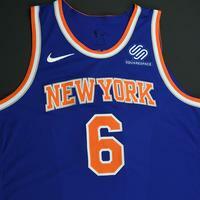 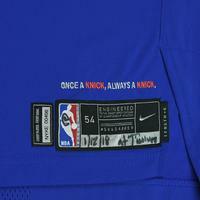 This is 1 of 2 jerseys that Porzingis wore during the Knicks' 118-108 loss to the Minnesota Timberwolves on January 12, 2018 at Target Center in Minneapolis, MN. 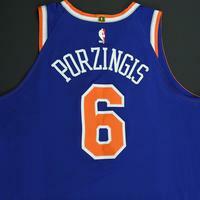 He played 36 minutes and registered 17 points with 2 assists, 10 rebounds, 2 steals and 3 blocked shots. 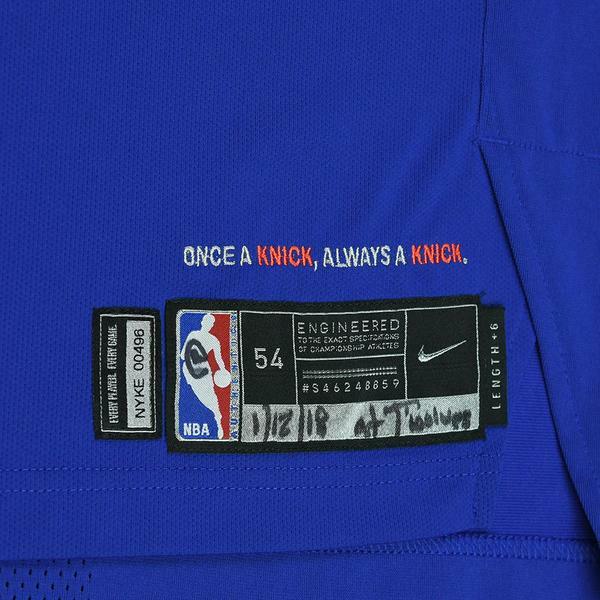 "1/12/18 at Twolves" has been handwritten on the jock tag.